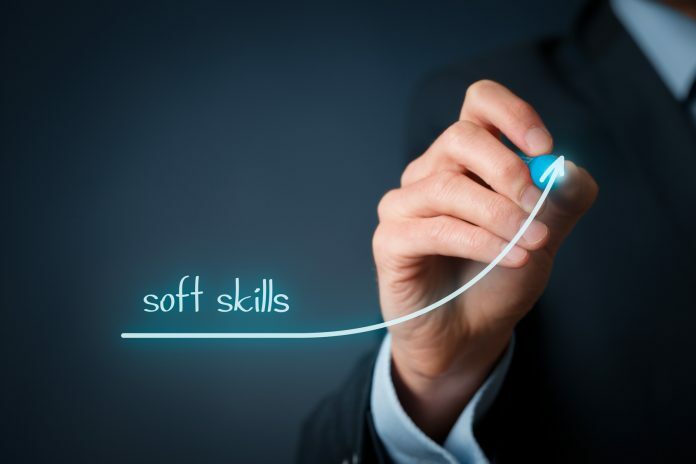 Soft skill has become quite a common term that it seems to lose its significance with time. Or, may be organizations of today are taking it way too lightly to get their employees trained and polished in this regard. There had been a time when soft skills were the most important part of any training and development session or program, however, nowadays, I feel organizations are making it dominated by other skills by paying less focus on it. Throughout my period in professional training and development industry, I came to know that soft skill training can never go out of trend and goes hand in hand with any other kind of employee training you can think of. So, my question is that has soft skill training been overlooked by the businesses nowadays and if it’s true as it seems, how can this gap in soft skill training be filled. The classified section of the newspapers seems shorter with each passing day, indicating that the US unemployment rate is rising to around 8 percent, with millions of job seekers in the market, however, why many employers are still claiming that they are unable to fill the current openings? The answer, as per my observation, is the skill gap, in particular, the soft skills gap, which is the gap that threatens the businesses’ sustainability all over the world. And while a huge part of the skill gap is the lack of professional trainers and programs that belong to STEM (science, technology, education and math) industries, there seems also a gap in a soft skills like communication and higher leadership skills. As per Ed Gordon, the writer of “Winning the Global Talent Showdown” and “Future Jobs” Solving the Employment and Skills Crisis”, the education to employment to talent development system- from the first grade through college and through career or professional training- has to be revamped. It’s not a talent issue; it’s a skill issue. People don’t possess the thinking skills and liberals arts, and professional career training they want in today’s technologically oriented world. We want the skills to keep this immensely complex technology work actually. If the employees possess many technical skills but in an absence of soft skills, there is a soft skill gap. Soft skills accompany the hard skills, and these help the businesses use their technical expertise to the fullest. If the company is not good at getting clients and also not so good for retaining them, chances are it has a soft skills gap. If a business has huge staff turnover and has to keep retaining employees, chances are it has a soft skills gap. When there are lots of managers in the organization, but no real leader, there is a soft skill gap. I could determine this out after designing and implementing the professional training programs for a number of employers belonging to different industries. These are some of the objectives I usually get to hear in terms of employee training and development. Poor communication or soft skill, in spite of higher position is a general scenario seen nowadays, not to mention the horrible telephonic etiquettes. There is a need in terms of training; to recognize what is lacking in an employee and then getting the gap filled through relevant and specifically designed training programs. Today, soft skill training is as important as ever before in the past and if any company who neglects its importance and focuses solely on technical expertise; for me it’s not a wise training strategy. These include verbal, non-verbal and interpersonal communication. One must know the accurate mode to approach and communicate with co-workers, sub ordinates and super ordinates. At the same time, it is also significant to have the correct body language as what you say and express through your body language might not co-ordinate. When it comes to communication training and development, we focus not just on general communication but business communication as well. This is because training is getting more comprehensive nowadays and include different perspectives of the single soft skill. Along with this, time management, anger management, presentation skills and team building and leadership training programs that are properly designed and implemented on a regular basis, can reduce the soft skill training gap. Next articleIs there Gender Bias with Training and Technology?